Citigroup Inc. has sold its prepaid card business to Wirecard AG. This sale means your card will now be managed by Wirecard North America Inc. Additionally, the issuing bank for your card is changing from Citibank N.A. to Sunrise Banks, N.A., Member FDIC, as of September 15th 2017. This change will have no effect on your card balance and you may continue to use your existing card until it expires. If you have any remaining pre-checks, they will be invalid ninety (90) days from this notification. If you need replacement pre-checks, please call the number on the back of your card. ATMs managed by Citibank N.A., including Citibank brances, have been removed from the surcharge free ATM network. For a complete listing of surcharge free ATMs, please reference the ATM locator at login.wirecard.com. What is it? 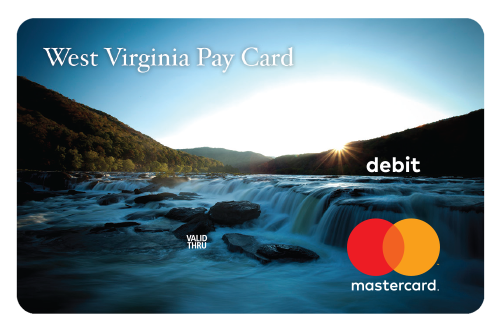 An option to have employees’ pay automatically loaded on their own personalized West Virginia Pay Card each pay day. The Pay Card is a reloadable Mastercard® prepaid card issued by Wirecard North America. No bank account or credit check is required. Who will have it? Any current or future employee who chooses not to have their pay directly deposited into their own account at a financial institution. Retirees are not participants at this time. How is it used? The card provides flexible and immediate access to the employee’s pay. They can make purchases at millions of Mastercard locations worldwide. They can withdraw cash at ATMs and financial institutions that display the Mastercard logo. There’s even an option for the employee to use a Pre-Check to get cash for part or all of the balance. How do I enroll? All employees who currently receive a paper paycheck will automatically be enrolled in the Pay Card program. You will receive specific instructions on how to register your card upon receiving it. If you currently receive direct deposit, the Pay Card program will be available to you at a later date. Mastercard Prepaid Card, Good Everywhere Mastercard Debit Cards are accepted.